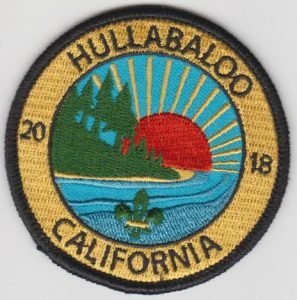 Northern California’s fourth annual Hullabaloo—a campout open to all BPSA scouts—will be held at the Woodland youth campsite in Joseph D. Grant County Park, from 3 PM on Friday, July 27th to noon on Sunday, July 29th. The cost to join us for the weekend is $10 per camper; children 3 and under are free. There will also be a camp meal plan for those who wish to buy into the communal/group cooking menu, at an additional cost of $20 per camper (covering two dinners, two breakfasts, one lunch, and coffee). Scouts are expected to help with food prep and clean-up. For the first time this year we are experimenting with a large-family discount: Families of four or more may register all members for the campout, including meals, for a flat rate of $90 per family. (Send three campers, get the fourth free!) The exact menu will be determined based on numbers but will include both omnivore and vegetarian/vegan options. We accommodate allergies but ask for flexibility regarding non-medical and non-ethical/religious preferences. If you choose not to join the camp meal plan, please come prepared to feed your family. Meal plan sign-ups close on the 20th. Families should bring their own tents, sleeping bags, and dishware—a plate, fork, and mug for each person—along with other personal camping gear such as sunscreen, flashlights, bug repellent, etc. Scouts should come in uniform, or in case of very hot weather, in BPSA tee shirts or solid-colored tees. Bring jackets in case it cools off at night! We will be checking the weather reports as we get closer to the date, but the average is generally 79°F/66°F (records have been as high as the 90s and as low as 49°F). Bring sunscreen, a hat, and shade if you can—we will have some shade structures available. Parking should not be a problem, however there is overflow parking if needed, and we will shuttle folks. Note that the gate into the park closes at sunset (about 8:20 pm). There will be a combination padlock available to guests which will be sent around closer to the date for possible latecomers. A note on flag ceremonies: Civic engagement is an important part of scouting. Scouts are expected to learn the national anthem and the correct way to raise, lower, and fold a flag as part of their training. However, their relationship to these potent symbols of our country is individual to them, and many scouts in these current times are practicing good citizenship and civic engagement through forms of protest and resistance. We support all forms of respectful attention during flag ceremonies, including standing and giving the traditional scout salute; standing with a hand over the heart; raising a fist to indicate a personal commitment to fighting for social justice; or taking a knee to show grief for injustices that continue. We will explicitly invite scouts to make thoughtful, personal choices about their engagement in the flag ceremonies. As a little added bonus, we will have commemorative event patches to distribute at the campout.